Analyst and CEO, Nakanishi Research Institute, Co., Ltd.
Takaki Nakanishi has a unique and broad experience in (1) management, (2) a research quality controller, and (3) a publishing analyst sell-side both from sell-side and buy-side aspects. He has covered the auto industry uninterrupted since 1994. 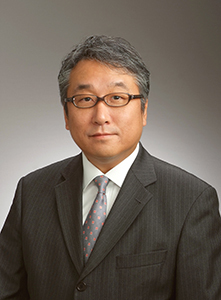 Nakanishi ranked 1st in the Institutional Investor All-Japan Research Team Rankings for the auto sector for six years running from 2003 to 2009, and was also 1st in the Nikkei Veritas Analyst Rankings over the same period. He returned to the sell-side analyst in 2011 after experiencing asset management business and was ranked again the 1st in both the Institutional Investor All-Japan Research Team Rankings and the Nikkei Veritas Analyst Rankings in 2013. 2011 Head of Asia Pacific Auto Research, Deputy Chairperson of the Asia Pacific Research Recommendation Committee (RRC) and Chairperson of the Japan RRC, Merrill Lynch (Japan) Securities Co., Ltd.
2009 Head of Alliance Growth Research, AllianceBernstein Japan Co., Ltd.
1990 Equity sales, Yamaichi International (America), Inc.
1988 Equity sales, Foreign Corporation Dept., Yamaichi Securities Co., Ltd.
1987 Research Analyst, International Sales Dept., Tokyo Securities Co., Ltd. Copyright © 株式会社ナカニシ自動車産業リサーチ All Rights Reserved.